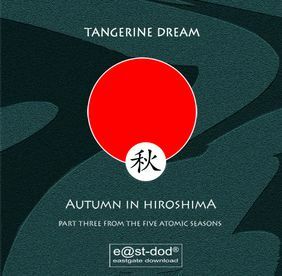 The Eastgate Music Shop about the CD release "Autumn In Hiroshima is the long awaited third part of 'The Five Atomic Seasons'. A musical journey accompanying Mr. H.T. 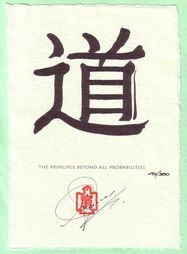 to an old Zen Monastery where he is living for a short period of time and getting introduced to the secrets of life and death. Within this rather unemotional period he learns about the contemplative views which he has to develop within himself in contrast to the desastrous life out there everybody is confronted with in these days. Instead of giving up hope after the blasts he feels an enormous energy and change of consciousness which guides him directly to something very strange..."
Regarding the initial Eastgate CD release, neither CD nor the paper inserts show any order number or barcode, but the number given below is the order number the Eastgate Music Shop lists this release. 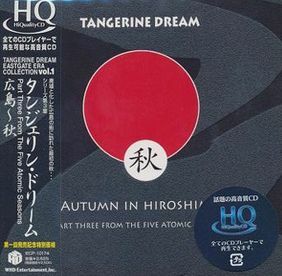 The first 300 customers who ordered the CD release of Autumn In Hiroshima through the Eastgate Web Shop received a personally signed hectographed, stamped and numbered Japanese Calligraphy by Edgar Froese of approx. 15cm by 21cm size. 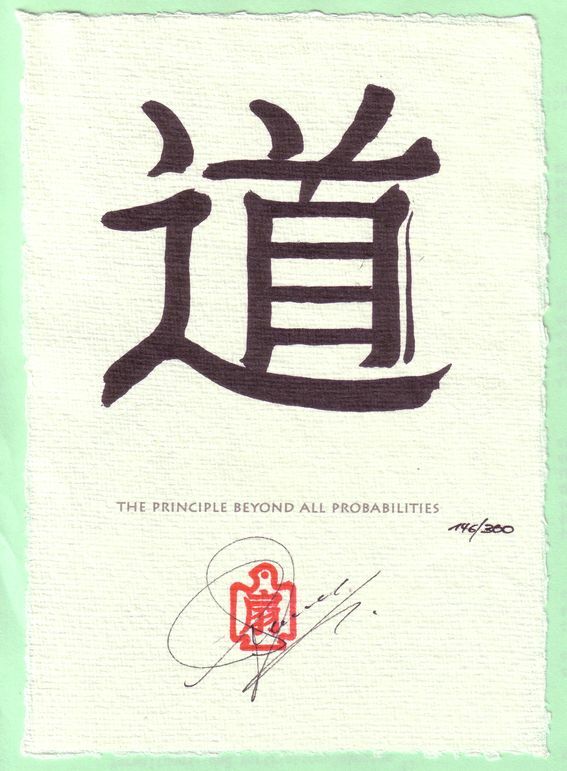 The photo shows "The Priniciple Beyond All Probabilities" by Edgar Froese, number 146 of 300. The Eastgate Music Shop about this item: "As maybe just some of you know Edgar used to be a Font Designer in his time being a student at Art School -- so you will get something really professional in addition to the CD." 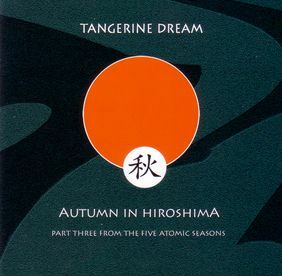 In December 2008 this release became available as MP3 download at the Tangerine Dream Download Shop. 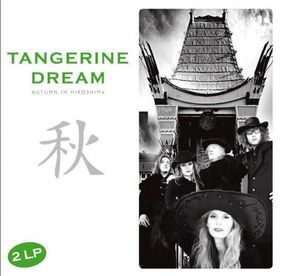 In March 2009 the album was re-released with different cover design as part of an extensive digipack series (consisting of a total of more than 60 CD and DVD releases) by the Germany based Membran record label, and in May 2009 it was re-released in Japan as part of a series of HiQualityCDs with mini LP paper sleeves. 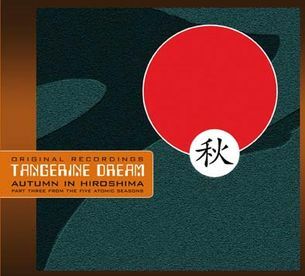 Furthermore, the album was released as double vinyl album with completely different cover artwork in summer 2009, together with Summer In Nagasaki and Views From A Red Train.